The state capital and home to the University of Wisconsin, Madison is clean, attractive, progressive and well-planned. The city itself surrounds a pair of lakes- Lake Mendota and Lake Monona- both of which provide recreation and attractive views from many city business and residential locations. The downtown is exceptionally clean and gives strong evidence of the city’s twin roles as state government center and college town. The area boasts many buildings of architectural interest, most particularly those designed by Frank Lloyd Wright including the spectacular Monona Terrace convention center on the Lake Monona shore but also including churches and several residences. The surrounding countryside is beautiful and includes an assortment of outdoor recreation areas and attractions such as Taliesin, Wright’s former home and studio, and the Wisconsin Dells, a collection of good but somewhat touristy family attractions. 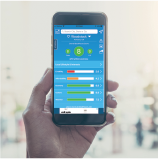 The economy is anchored by the university and state government but also is supported by a number of small “new economy” firms, mainly in biotech and software. East of town is a more traditional commercial complex with distribution centers and light manufacturing. 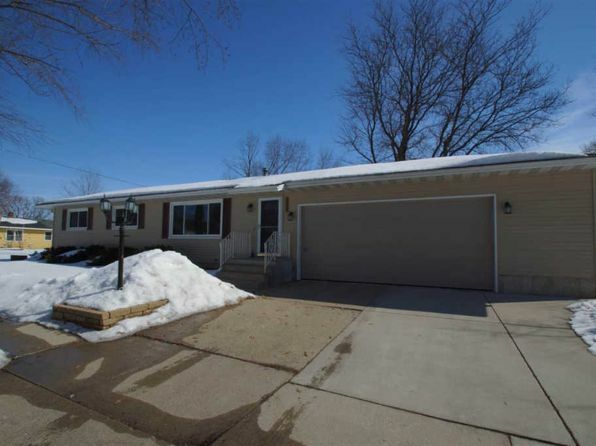 Excellent albeit expensive residential areas lie all around the town, with more middle class neighborhoods southwest and northeast towards the small town of DeForest. More upscale areas lie along the Lake Mendota lakefront north. Educational attainment is high, and college-town amenities abound, but one pays the price literally in housing and figuratively in winter chill. For those who can accept these negatives, the area is hard to beat. The downtown sits on a narrow isthmus of land between Lake Mendota and Lake Monona. Madison has a continental climate with an extreme temperature range, from 110 degrees to –40. Madison lies in the path of frequent storm systems during fall, winter, and spring. Winters are cloudy with occasional outbreaks of cold arctic air, and many days below freezing. Summers are pleasant with only occasional periods of extreme heat or high humidity. Summer months are prone to thunderstorms, and winter precipitation is lighter but lasts longer. Snow cover is common in the winter months. First freeze is early October, last is late April. The median home price in Belleville is $195,100. Browse Homes in this Range. 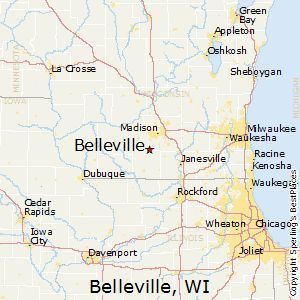 Compare Belleville, Wisconsin to any other place in the USA.